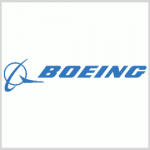 Boeing (NYSE: BA) has received a $326.3M delivery order to develop Increment 3 Block systems for the P-8A Poseidon maritime patrol aircraft in support of the U.S. Navy and Australia. The cost-plus-fixed-fee order falls under a previously awarded basic ordering agreement and covers development, integration and testing services, the Department of Defense said Tuesday. Boeing will perform majority of the work in Puget Sound, Wash. The Navy will obligate $14.4M in fiscal 2019 research, development, test and evaluation funds along with $19.2M in Cooperative Engagement Agreement funds at the time of award. The Pentagon expects the company to complete support services under the contract by March 2024. P-8 is derived from Boeing’s 737-800 and designed for anti-surface and submarine warfare, broad-area maritime missions, littoral operations, intelligence, surveillance and reconnaissance missions.